Retaining walls serve dual purposes. First, they are necessary to create a desired slope, or rather, eliminate an undesirable slope. Secondly, they can look charming and add an aesthetic element to your landscaping. BDI Outdoor Solutions designs, builds, and installs retaining walls for homes and business properties around the Twin Cities metro area. 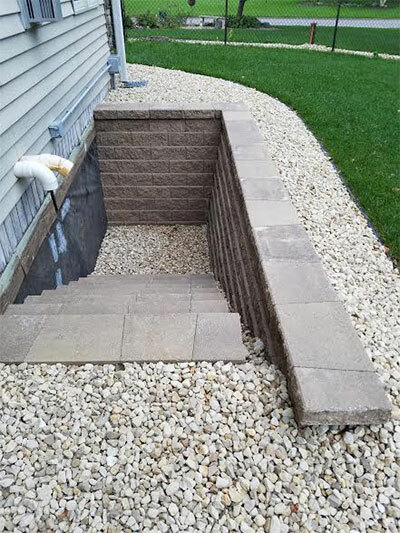 The landscaping professionals at BDI have been performing retaining wall installations for more than 20 years, and this experience ensures that your new retaining wall will be built with quality and to last. We have many different options to choose from for retaining walls, from materials to styles and looks. Give us a call to set up an appointment and we will go over your options with you and look at the project. We’re excited to get started. Retaining walls are necessary for leveling ground and allowing an otherwise sloping yard to be flat and therefore more useful. But they have other uses as well, including preventing erosion and controlling watershed. If you have steep terrain on your property, we can create terraced walls that will give you a place to relax and entertain so that you don’t need to pay property taxes on unusable land. And after our landscaping experts level the ground for you, we can install a paver patio so that you really have a place to relax and feel comfortable. We can also build retaining walls for front yards, commercial purposes, and more. These walls add definition to a property and help funnel water into drainage channels. They are very popular around fire features (such as fire pits) and swimming pools, which without there would be no level ground to have a swimming pool. And to go with a new retaining wall, we can build steps that will connect different areas of the landscape that now have different elevations. Whether you want decorative retaining walls or simply functional ones, multi-layered retaining walls or ones with garden planters built in, we can do it for you. Give us a call and let’s get to work on your project. BDI Outdoor Solutions installs many boulder retaining walls. These are very popular due to their size and visual impact. We have many boulder options to choose from, including type of stone and size. And like all retaining walls, a water drainage system is very important. This helps to reduce pressure on the wall and ensure that it remains structurally sound for years to come. But with a boulder retaining wall, we will also need to include additional drainage features to ensure that the boulders do not move or shift. Another thing to keep in mind when considering a boulder retaining wall is that boulders, even small ones, are very heavy. Equipment will need to be brought in to move the boulders and sometimes there is no access point for this equipment. Boulder retaining walls are great, and it brings us a lot of joy to see the look on a client’s face after we have completed one. When you meet with us to discuss a new boulder retaining wall, we will bring up all of these issues and determine whether it is feasible or not to build one. Give us a call and we’ll get started designing just what you have in mind. BDI Outdoor Solutions builds and installs retaining walls for property owners around the Twin Cities. With more than 20 years of experience working with all types of retaining walls, you can be sure that we know what we’re doing and that the work will be quality and last a lifetime. We’re ready to get started on your retaining wall project whenever you are.